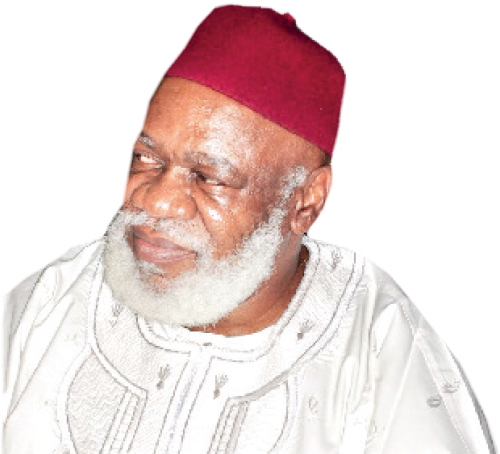 The President-General of Nnewi Town Union (Nzuko Ora Nnewi), Sir Ugochukwu Udemezue, says the death of Debe Ojukwu, the first son of the late Dim Odumegwu Ojukwu, is a big loss to the community. He confirmed the death of Debe, the 60 year old first son of the late Ikemba Nnewi, from Umudim. When contacted however to confirm the death, Bianca, the widow of late Dim Chukwuemeka Odumegwu Ojukwu, said it was not her duty to make announcements on behalf of the Ojukwu family. The former Nigeria’s Ambassador to Spain was contacted on the phone to confirm the reported death of her late husband’s first son, Debe Ojukwu. Reminded that as a step mother of Debe, she probably must be one of the first persons to know about such things, she said Nnewi people have their customs and traditions. “According to our tradition, it is not my role to make such announcements. We have elders in the family who have such duties and functions,” she maintained. The rumoured death of the lawyer son of the Biafran leader, had come to many as a shock, as he was said that he did not complain of any serious sickness before now. But confirming the news yesterday to The Nation, Udemezue, said he spoke with some of his town’s men on Monday and Tuesday, where he complained of having ‘high sugar’ in his system . He said the community had been thrown into mourning since the news broke out about his death, while confirming he died on Friday. The President-General said the Improvement Union, Anaedo, Umudim, and indeed the entire Nnewi would miss him and would all be involved during his burial. According to him, “my heart is broken and the people of Nnewi too. Yes, he is dead, he died on Friday,” he said. “He spoke with some people on Monday and Tuesday where he complained of high sugar. When the time comes for his burial, everybody will be fully involved because he is our son,” he added. It would be recalled that when late Ikemba Nnewi died some years ago, some family members wanted to stop Debe from participating in the burial. As a result, he relocated to a nearby space from the family house to host his visitors, but the people of Nnewi, including the chiefs, were in his support. One of the High Chiefs in Nnewi, who pleaded anonymity yesterday, told The Nation that it was time for the Ojukwu family to put quarrels aside and come together to give their illustrious son a befitting burial when the time comes. Another family member of the Ojukwus’ who did not want her name mentioned, confirmed the death of Debe Ojukwu, but said it was the duty of the elders in Nnewi and family to talk on it.